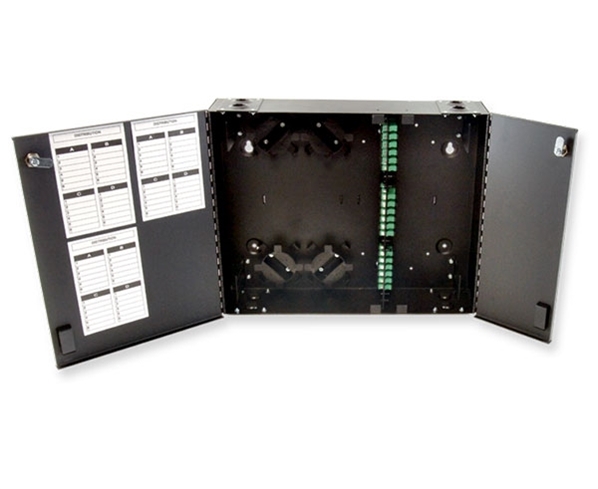 This high density wall mount fiber patch panel is designed to support patching and splicing in one fiber enclosure. 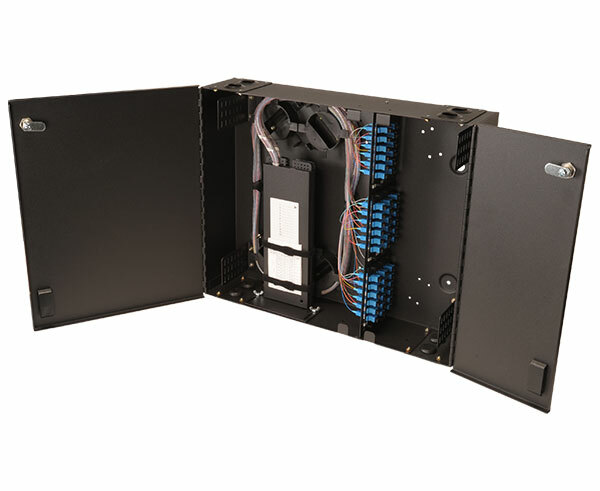 The fiber housing has 9 adapter panel positions allowing for a wide variety of fiber termination connector types and is equipped with a set of double lockable doors maintaining separation and security for the Network and Distribution sides of the termination panels. The FB23-3952WD9B is a member of a larger family of Fiber Distribution Units. Black, Steel.